An evaluation on the hunting for population management in the two-year period was completed in October. A press release on the evaluation came out on 31 October. Based on the evaluation, wolves killed under derogations to prevent damages, by police order, in traffic, or in illegal hunting outside the reindeer husbandry area will in future also be included in the quota. In granting the derogations the quota would also depend on the types of individuals killed so far. 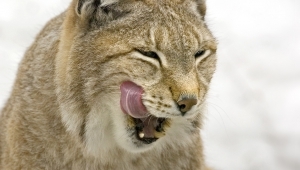 In particular, the Finnish Wildlife Agency would follow the numbers of alpha females killed. Besides section 41 a, subsection 1, paragraph 2 of the Hunting Act (preventing damage), paragraph 3 of the same section (imperative reasons of public interest including those of a social nature) are taken into account when considering the granting of derogations. This can be used as the criterion when hunting is needed to win better approval of large carnivores among the local people. Flexibility would be allowed to start hunting immediately after the derogation has been granted so that not all derogations are in force at the same time. 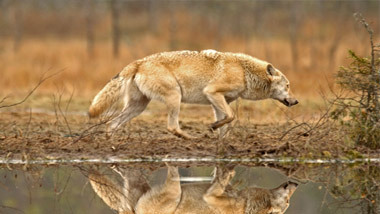 This enables more accurate estimates of the impact of the derogations on the wolf population. Differentiating the times when derogations are granted allows to better estimate the number of alpha females killed and take this into account in subsequent decisions. In support of decision-making there would be territorial committees and, in some areas, advisory boards on large carnivores that would assess the need to apply for the derogations. Unlike before, the decree is now proposed to cover two hunting years to allow the Finnish Wildlife Agency as flexible and uninterrupted jurisdiction as possible to grant derogations based on applications that meet the criteria. The decree is to be revised at the end of 2017. According to a mid-term estimate by the Natural Resources Institute Finland at the end of October there were 23 to 28 packs in Finland, nine of them shared with Russia. In November 2015 the Natural Resources Institute Finland estimated the number of packs in Finland at 22 to 43, ten of these shared with Russia. A more detailed estimate of the size of the wolf population in terms of both the number of packs and individuals will be available in December 2016. The final estimate of the size of the population will be completed at the end of the hunting season in March 2017. The deadline for the comments is 9 December.